Posted on May 26, 2015 by Michelle M.
How many off this list have you said? 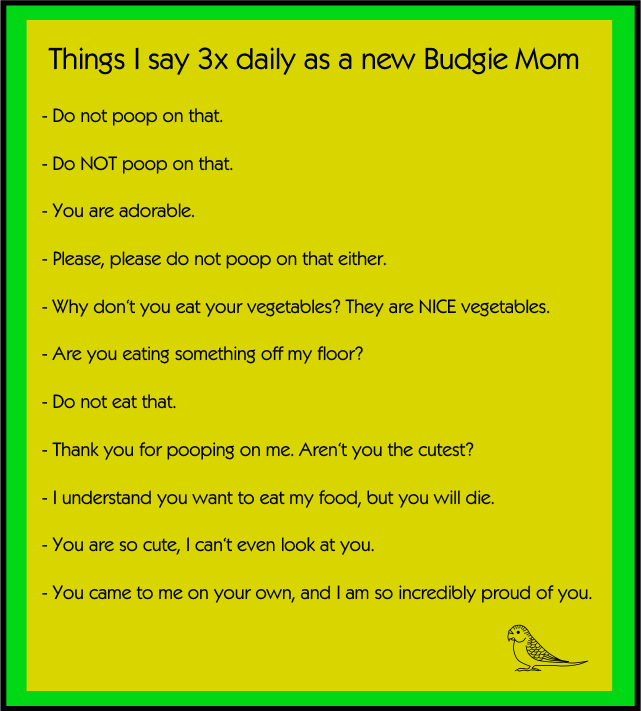 This entry was posted in Funny Budgies and tagged budgie, Cooper, funny budgies, Near Far Budgerigar, parakeet by Michelle M.. Bookmark the permalink. I said to Gari that you are so cute, I can’t even look at you! Gari is a very sassy bird!!!!!!!!! All right, who pooped on the wall? As if one of them will actually answer me.